Some new wedding photos just in from the talented Holly Birch! 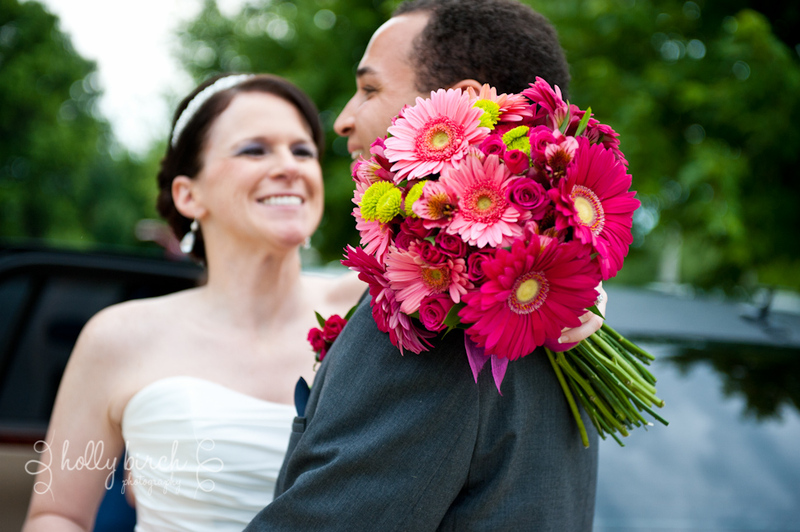 Hot pink and bubble gum pink Gerbera Daisies steal the show in this medium sized hand tied bridal bouquet. 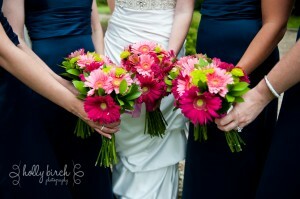 Hot pink roses, lime green button mums, and hot pink alstroemeria bring texture and volume to the bouquet. The bridesmaids who wore navy (what lovely contrast) carried the same Gerberas in simpler bouquets accent with just the lime green button mums! As always with warm wishes for a blessed marriage for the bride and groom! Check out more amazing pictures from Holly Birch at hollybirchphotography.com.